I hope everyone had an AMAZING Memorial Day weekend! This was the first year I was actually able to go away for a mini vacation in Rehoboth Beach, Deleware. That beach town is absolutely pristine and I really appreciate the pride and hard work the residents put in to make it such a wonderful place. 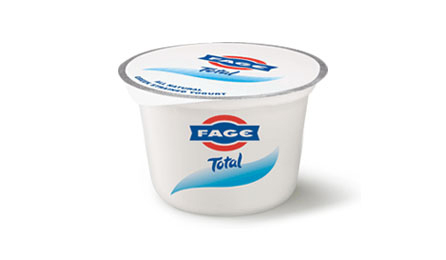 I like "Fage Total" because of its rich and creamy texture. Mix ingredients together. I like to keep the mixture cool up until the moment I use it. Rinse face with cool water, use a gentle cleanser if needed. Be sure not to scrub your skin. Apply mixture to skin for 15-20 minutes, can be used anywhere on your body! Remove mixture with a washcloth soaked in cool water, again be sure not to scrub your skin. Apply your favorite moisturizer or pure aloe vera to keep skin hydrated! Let me know what you think! I know you will be very happy with the results! If you're near a dermatologist long island I'm sure this problem won't last in minutes but this remedy is also great. Having natural and easy to get ingredients is much better than buying expensive medicines. If I don’t have the chance to visit my Derma, I always switch to natural remedy treatments like this one. May I have to ask if are there any anti wrinkle treatments can you recommend that can be done at home? It's going to come down to the action that you take. To get rid the wrinkles the product you use matters. Tretinoin also improves of skin cell turnover and thus exfoliate the uppermost lining of the skin. In the process, there is a reduction in the development of comedones which are whiteheads and blackheads.